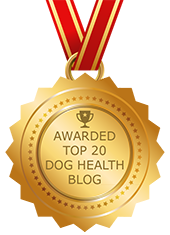 Primer On Lipomas | Dawg Business: It's Your Dog's Health! A lipoma is a soft, round, moveable lump or bump of fatty tissue under the skin. Because the dog tolerates the mass, they’re usually identified at check up or spotted by owners when petting or grooming their dogs. However, each new lump should be examined to ensure that it is a lipoma and not a malignant growth. A fine needle aspirate (FNA), in which a thin needle is used for a quick in-clinic microscopic look at the lump’s cells, should be done for each lump. A biopsy may still be necessary if the results of the FNA are equivocal. It has been our experience that removal of most lipomas makes the patient feel better. The lipoma can be removed when your dog is scheduled for anesthesia for another issue. However, if the lipoma interferes with movement or it is so large it’s irritating or bothering your dog, we recommend that the surgery be scheduled sooner rather than later. Lipomas on muscles often infiltrate into the muscle proper and cause pain, reduced use of the muscle and lameness. These should always be removed and removed quickly to keep the function of the body as normal as possible. Lipomas are very common in dogs and are seen occasionally in cats. 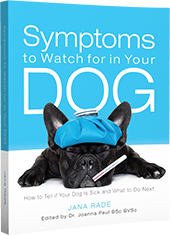 Once a dog has had a lipoma, it is likely to develop others. Lipomas occur more often in middle-aged dogs and overweight female dogs but some younger dogs can get lipomas. Dog breeds that are more likely to have these include cocker spaniels, dachshunds, poodles, and terriers. Rarely, a lipoma can become cancerous. They affect the area around the original lipoma and can also metastasize (spread) to other areas of the body. These malignancies are called infiltrative lipomas. Your veterinarian will need to take a biopsy for histopathology examination at a veterinary pathology center. Infiltrative lipomas are difficult to control. Treatment may require radiation and surgery. (Chemotherapy does not work on infiltrative lipomas.) 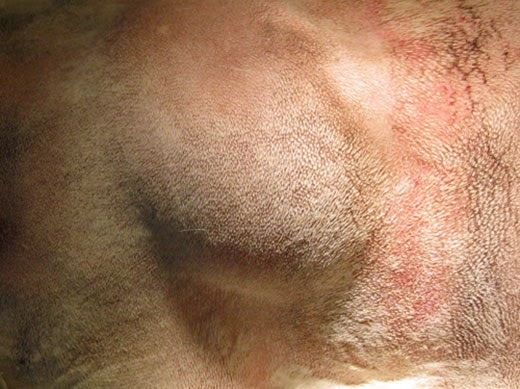 Infiltrative lipomas are fairly rare, but because of the difficulty in treatment, you should always have new fatty lumps checked by your veterinarian. Established in 1981 and moving to a new location with updated facilities 2011, Fergus Veterinary Hospital uses the most modern and practical approaches for today's' pet health issues. From one of the first in the world to use online medical records where you can keep track of all your pet's health issues, to a webstore where thousands of pet products are available for lower cost. One of the first to have dental facilities, one of the first to do stem cell treatments, one of the first to have post op laser treatments to reduce pain, one of the first to use a capnograph for anesthesia monitoring, and so on. Making Lives Better is a continuous challenge and requires continual updating. Well balanced article - completely agree! Important to check these out to make sure it's not a lipoma "mimic".